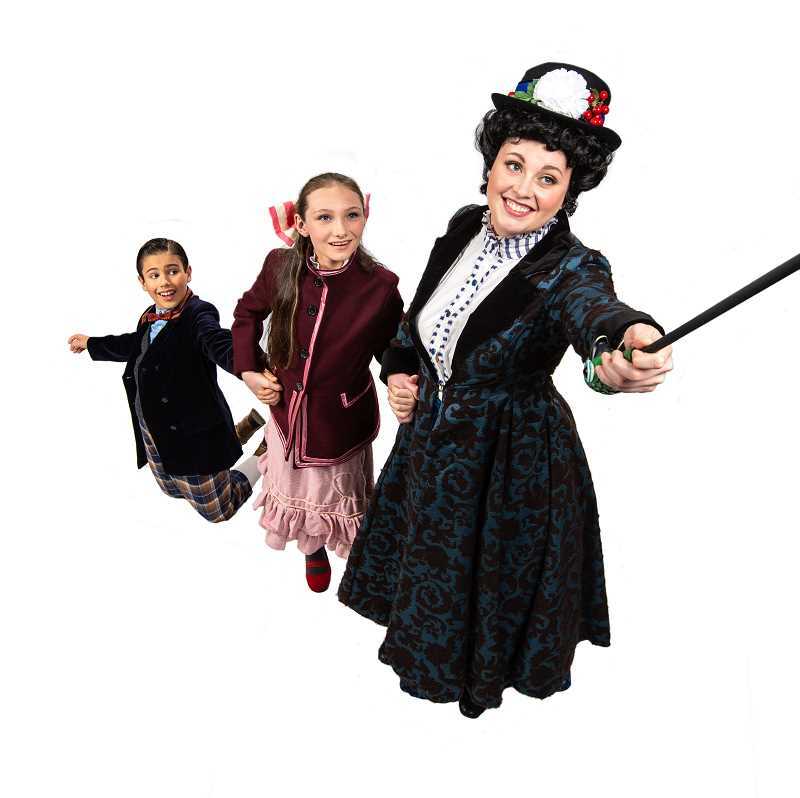 "Winds in the east, mist coming in, like somethin' brewin' and bout to begin ..."
The colorful world of "Mary Poppins" comes to life at Northwest Children's Theatre and School, complete with rousing tap numbers, flying actors and the beloved songs from the classic film. Portland area families are invited to travel across the Atlantic to Cherry Tree Lane where the Banks family is about to be introduced to a magical nanny who is "practically perfect in every way." Returning in the title role of Mary is Chrissy Kelly-Pettit, who recently took home a Portland Area Musical Theatre Award for her performance in Stumptown Stages' "It's a Wonderful Life." A lifelong fan of the original "Mary Poppins" movie, Kelly-Pettit has made Mary her own. "I try not to be influenced by what others have done in the past," she says. "That being said, you may still see a little bit of Julie Andrews ... she's one of my idols, and, well, I might not be able to help myself." Making his first appearance on the NWCT stage, newcomer Alec Cameron-Lugo will buckle on his tape shoes as everyone's favorite chimney sweep, Bert. The 2014 production of "Mary Poppins" broke all previous NWCT attendance records, completely selling out every performance and garnering seven DRAMMYs and five PAMTAs, including awards for Outstanding Production and Director Sarah Jane Hardy. In this 2018 revival, director Hardy aims to build on the original production's success, while offering something new for returning audiences. "It has been amazing to watch Chrissy and the other returning cast members build on their performances from last time," Hardy said. "When you do a show for the first time it is all discovery. When you go back you can pick up where you left off and add that extra layers of magic to your character." Showtimes are Saturday and Sunday noon and 4:30 p.m. Dec. 8, 9, 15, 16, 20 through 23, 26, 28 through 31 and Jan. 1, 5, 6. Noon shows are held Dec. 25, 31 and Jan. 6. A sensory friendly show will be offered at 4:30 p.m. Dec. 16, and an American Sign Language performance will take place at noon Dec. 22. For more information on tickets and show times visit nwcts.org or call the box office at 503-222-2190.